U.S. Pat. No. 6,004,596: Sealed crustless sandwich. 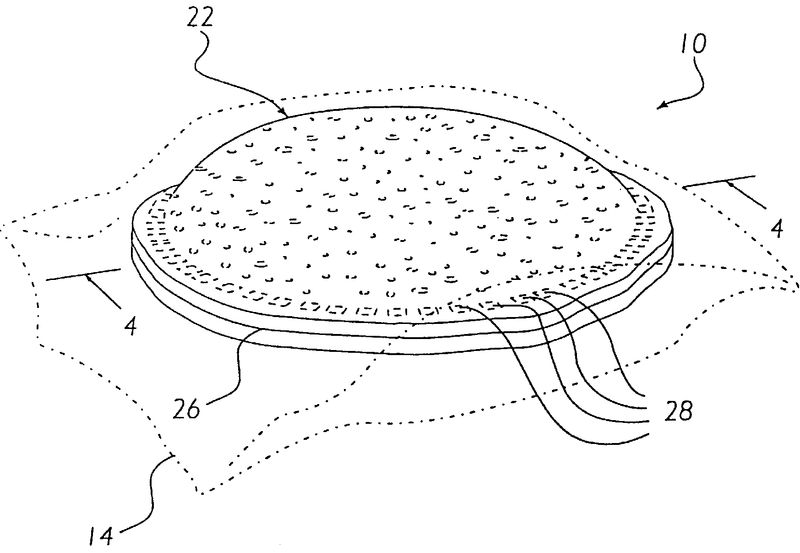 A sealed crustless sandwich for providing a convenient sandwich without an outer crust which can be stored for long periods of time without a central filling from leaking outwardly. The sandwich includes a lower bread portion, an upper bread portion, an upper filling and a lower filling between the lower and upper bread portions, a center filling sealed between the upper and lower fillings, and a crimped edge along an outer perimeter of the bread portions for sealing the fillings therebetween. The upper and lower fillings are preferably comprised of peanut butter and the center filling is comprised of at least jelly. The center filling is prevented from radiating outwardly into and through the bread portions from the surrounding peanut butter.